Frequently Asked Questions we know we had when we started exploring vaping. You will hear many names; electronic cigarette, e-cig, e-cigarette, vaporizer, and more. Basically it’s a device that uses a small battery and heater, called an atomizer, to vaporize an oil solution for inhalation. In general there are three main components; a battery, an atomizer, and a cartridge or cartomizer holding the solution. When the user activates the unit the battery supplies heat to the atomizer which ‘vaporizes’ a small amount of the solution. This vapor may contain nicotine while some users vape with 0 Nicotine oils. According to the recently released FDA Deeming Rules all the devices, software, and liquids are now considered made from and regulated as tobacco products. How Do I Smoke with a Vaporizer? Don’t take a drag! Many, including us, thought you ‘smoked’ with a vaporizer like we do with a cigarette. After all, the first one most of us try look kind of like a cigarette. However, taking a straight drag from a vaporizer takes the liquid vapor straight to the lungs and can cause coughing and even a sore throat. If you have done this and thought there is no way you can vape let me change your impression with a single word ~ PUFF Think of how you smoke a cigar or pipe. Draw slowly, over a 3 to 4 second draw, into your mouth and let the liquid rest for a moment then decide if you want to inhale further or blow vapor rings or whatever. You will get a good ‘throat hit’ (like we get when smoking a good cigarette), the nicotine will disperse properly, and you will enjoy the experience much more. Though the vapor is not hot, it is a liquid rather than a smoke so sending it directly to the lungs is a challenge for most. Also, when we smoke nicotine (along with all the other bad things in cigarettes) starts to reach our system within 6 or 7 seconds; it takes roughly 30 seconds using vapor so expect the delay if you are vaping to calm a desire for nicotine, but it will arrive. There are many styles and options yet we can narrow it down to a few main types. One-time use Automatics look like a cigarette, are designed to deliver roughly the number of puffs a smoker would receive in one or two packs of cigarettes, and cannot be refilled or recharged. They are considered automatic since there is no button to push, simply draw or puff on them (like a cigar or pipe, not a drag like a cigarette). Multi-use Automatics generally are also made to mimic the look or style of a cigarette, are designed to deliver about the same number of puffs as a one-time use version, yet you can change out the cartridge and recharge the battery. This reduces the overall investment and many offer the user a variety of cartridge flavor options. Multi-use Manuals require the user to press a button to activate the atomizer. There are a wide-variety of shapes including those appearing as a pipe or cigar and many with fancy battery colors and options. The best way to begin with a manual is a simple eGo style battery with simple button and twist controls. Box mods and variable controlsare the main focus during the first part of 2015. Mechanical mods and rebuildable atomizers (RDAs) led many early vapors into more powerful vaping devices with complex menus and a wide-variety of personalized approaches to obtaining the most enjoyable vaping. Start where you need to as you strive to quit smoking and then you can decide if you want to move toward the hobby side of vaping. Are These Really Safe to Use? The Royal College of Physicians, providing scientific and medical research since the 17th Century, is the most recent, respected organization to publish a very extensive study; Nicotine Without Smoke, Tobacco Harm Reduction. The findings are fully supporting vaping instead of smoking, found to be at least 95% safer with no harm to bystanders. This is the same organization that correctly warned of cigarette’s dangers in the late 1950s. Millions of lives can be saved if smokers understand the value of vaping instead of completely or to significantly reduce the amount of combustible or chew tobacco being used. Research is showing that due to the fact nothing is burned they are safe to use while also being healthier than tobacco. Smoking related disease and death are linked to the many things NOT found in electronic vaporizers. Vapor contains no tar, no carbon monoxide, no particulates, and none of the thousands of chemicals that are created by combustion. Nicotine does not cause lung disease, heart disease, or cancer. Vaporizers using quality oils have been used world-wide since 2004 with NO reports of any serious, adverse effects. There’s many studies, despite the tales being told there is not enough research. Here are two links to get you started but don’t stop there – many more are proving the good, as well as the cautionary, and it’s best to keep up on the science. How Do I Choose a Good Vaporizer? One of the advantages of coming in to visit us at our store is the opportunity to try a variety of vaporizers. For automatics it is usually a matter of finding a taste, size, and design appealing to you. We use a variety of vaporizers depending on where we are. Carrying a one-time use automatic in the car can help eliminate ashtrays and odor while still providing a nice vaping experience while driving. On the go at work? You may want to test vape a simple, auto-adjusting vape tube. Paired with a nice, sub-ohm tank will have you enjoying lower strength (or zero) nicotine level filled with flavor. Sitting at home and want to use a dripper to obtain full bouquet with each vape will bring other quality options into the conversation. No matter why you are selecting the device we offer the patience and knowledge to listen, guide, allow you to try, and give you room to decide. From our eLiquid tasting bar to our building supplies for the hobbyists, Wood Creek Vapory was founded with passion. We are a veteran family owned retail boutique focused on being your one stop shop for vaping needs and wants. We provide education on vaping, support in advocacy efforts to not over regulate (as the FDA is currently attempting to do), and a focus on helping people move off of smoking and, if they choose, off of vaping. 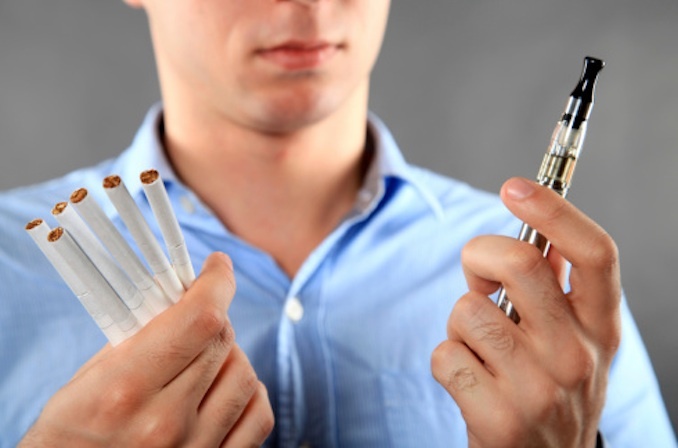 Many enjoy a no nicotine vape with friends so much they do keep vaping as a hobby. Yet, at zero nicotine, science proves it is nearly 100% safer than smoking…think about that. What Are the Main Parts of a Personal Vaporizer? There are three main parts; battery, atomizer/cartomizer/tank, and a tip. Starter kits typically come with different versions of these parts which you can either maintain or swap out easily by staying with the same types of connections. Wood Creek Vapory carries standard connection supplies to go with common connection battery options. Batteries come in varying levels of miliamperhour (mAh) settings. The most common in 2nd generation devices are 650, 900, and 1100 mAh ratings. Today’s 4th generation devices are typically between 1500 to 2600 mAh. Still others take external batteries you can change out. These are typically 2500 to 3000 mAh. The higher the ratings the longer the charge will last. The atomizer/cartomizer/clearomizer/tank portion hold the eLiquid and there are varying sizes (typically 20ml to 120ml with 30ml the most common). Combined, these units are commonly referred to as the tank and the units are referred to as electronic nicotine delivery systems (ENDS) by the FDA. Drip tips also come in a wide-variety of shapes, sizes, and designs. Each of us are able to decide if we want to stick with a standard setup, like those in kits, or customize our own by mixing and matching various Mods, or modules. You can test these different combinations at our store. Our goal is to listen to your goals, help you understand and determine the best options for your goals and budget, and then allow you to try the different vaping experiences the devices will offer. We do this before you buy to help ensure you are investing in a unit you will actually find enjoyment in using. Within the United States there are an estimated 9 million people currently using vaping products. Over 2.4 million have completely quit smoking through the use of these products while their health is also reported to be improving. A recent Royal College of Physician’s report encourages anyone who currently is trying to quit smoking to vape. Peer review studies clearly indicate over the past decade increased use of vaping products (also known as electronic nicotine delivery systems (ENDS) are responsible for a dramatic drop in smoking combined with a decrease in health related issues commonly associated with smoking. Although no one claims vaping is a cessation product it is a quality choice for those currently wanting to quit. Come on in to either location and also research the reports, the news is very encouraging. Can I Try Different Vaporizers Before I Buy? At our store you are able to try many different flavors and vaping products. Per new FDA Deeming Rules, tasting will not be allowed to be free starting Aug. 8, 2016 (despite only adults ever tasting samples) but the fee will be nominal and help advocacy for vaping. There are a wide variety of products and we are stocked to support everyone from the beginner to more hobbyist vapers. We know when we are shopping we want to touch, feel, and experience a product which is the experience our friends and neighbors have come to enjoy. eLiquid, as the oil is often referred, is a very simple mixture of three or four ingredients. 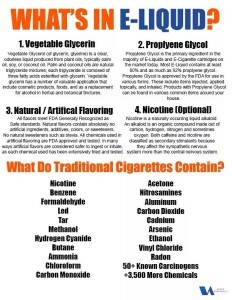 Most oils use polypropylene glycol (PG), vegetable glycerin (VG), pharmaceutical grade nicotine (unless it is a 0 Nicotine oil), and flavoring. 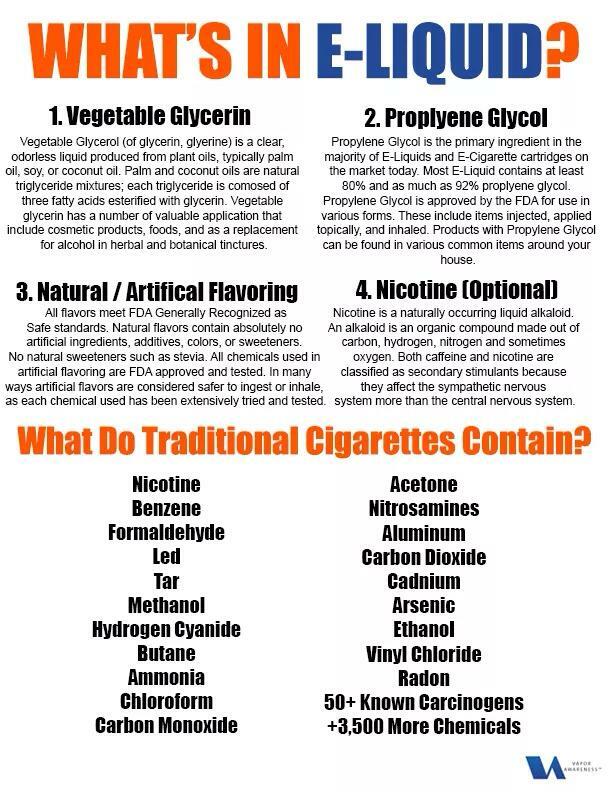 All of these ingredients, except the nicotine, are commonly found in many products we consume daily and are considered safe by the FDA. There are some who produce oils with only PG and others only VG for those with a slight allergic reaction to PG. The most common VG is kosher. Most pre-filled cartridges used in automatic e-cigs also have distilled water. There are oils that also ‘cut’ with water. Others, commonly made oversees, do not use FDA approved, pharmacy grade nicotine. The oils we carry will not have water and only the best quality ingredients including nicotine unless you are vaping a zero nicotine eLiquid. For those looking to completely rid themselves of nicotine use there’s excellent flavor choices in 0 Nicotine oils. Our quality oils are available in a wide-variety of nicotine levels and choosing the level of nicotine is an individual choice each of us has to consider. From very strong to none at all, nicotine does not have to be a part of the formula. Nicotine is proving to be much less addictive separated from tobacco and the other additives tobacco companies like to add. Vaping often leads to people reducing the level of nicotine over time yet still enjoy the community and experiences vaping offers. Just like old time smoking hay days, people like to get together for a variety of reasons and trading stories of success and restored health, enjoying new flavors and friends…well, that’s not a bad side benefit of vaping for many. What Are the Strength Levels Telling Me? The strength of e-juice generally depends on what you currently smoke or where you are in your cessation efforts if you are attempting to end nicotine use altogether. E-juice comes in high strength (18-24 mg.), medium strengths (11-16 mg.) or low strengths (0-6mg.). It is suggested that you start in the middle range if you are not sure and move up or down according to preference. If you normally smoke a regular strength cigarette, you may like anywhere from 16-24 mg. If you smoke lights, 11-16 is usually sufficient, and if you smoke ultra lights, 6-11 mg. is usually good. At any time you feel nauseated, light-headed, dizzy, or develop a headache you need to decrease your nicotine strength. You may need to discontinue use if problems persist or you may try switching to a VG based e-juice. On rare occasion people are allergic to the PG base and not reacting to the nicotine strength levels. *Please note, what we are sharing with you here is not to be substituted for your doctor’s advice. If you experience any of the mentioned conditions or irritation, you should consult your doctor. You should always consult your doctor before using any nicotine products. We are not claiming nicotine is not without danger. 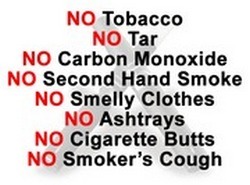 Keep in mind electronic cigarettes are not intended for those who don’t already smoke traditional cigarettes. That being said, your cigarette already contains nicotine. While nicotine is an addictive substance, it is non-carcinogenic. It does not cause cancer. (Some studies have indicated that nicotine actually has some health benefits, such as potentially reducing the risk of Alzheimer’s and supporting relief of the symptoms from Parkinson’s disease.) It is the many other chemicals in cigarettes that cause cancer. Besides the nicotine, e-liquid contains ingredients that are considered generally safe for human consumption by the FDA. However, if you are sensitive to nicotine, or have conditions that are aggravated by the use of nicotine, for example, strokes, heart attacks, pregnancy, etc., you should not use any nicotine product. You should consult your doctor before using products that contain nicotine. Also, consider a zero nicotine oil. 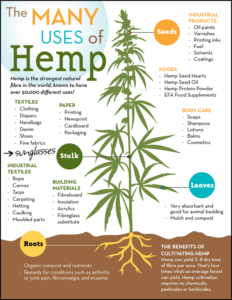 Why is healthier living easier using hemp? How are CBD and Hemp Seed products different besides price?